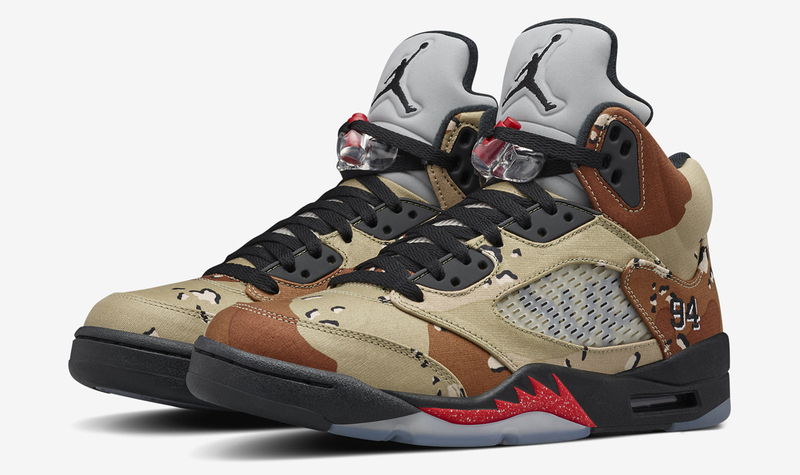 Is the Camo Supreme x Air Jordan 5 Releasing Online Today? 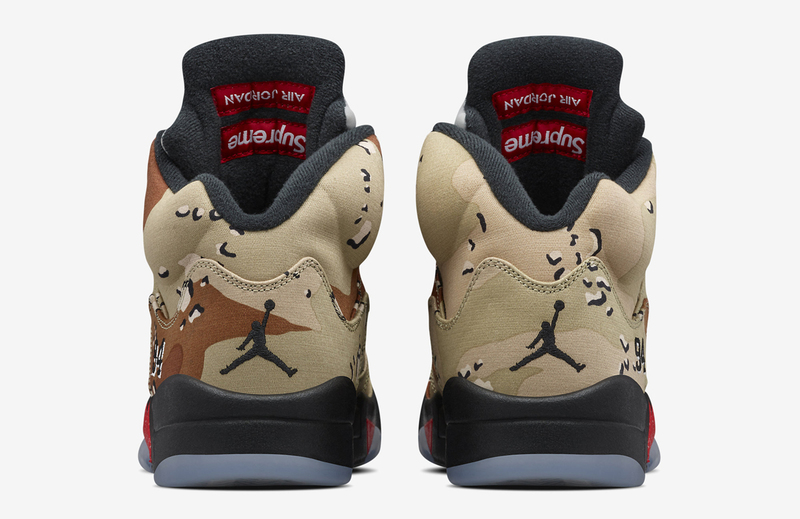 The chase for the Supreme Jordan 5s isn't over yet – Nike is planning to release the camouflage pair shown online. 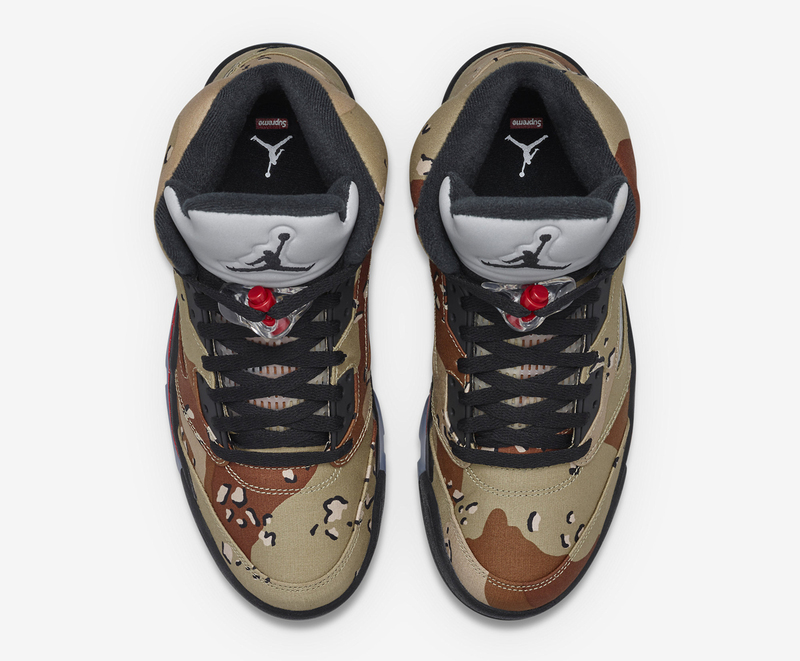 It's not announced when that will happen, but the product images on the sneaker are available now, which suggests that a release is soon to come. Nike should give people hoping to get a pair a heads up on Twitter when these do release, but a silent release is also possible. 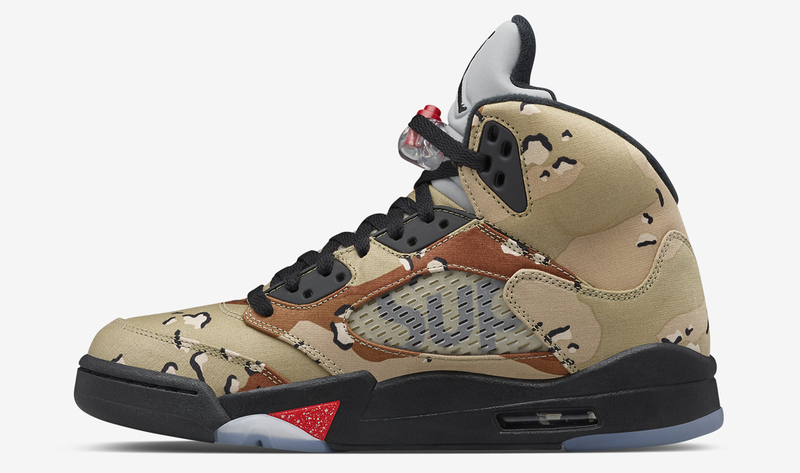 Enjoy this new imagery on the sneaker for now and pray that you get through when the coming camo Supreme Jordan 5s show up online. 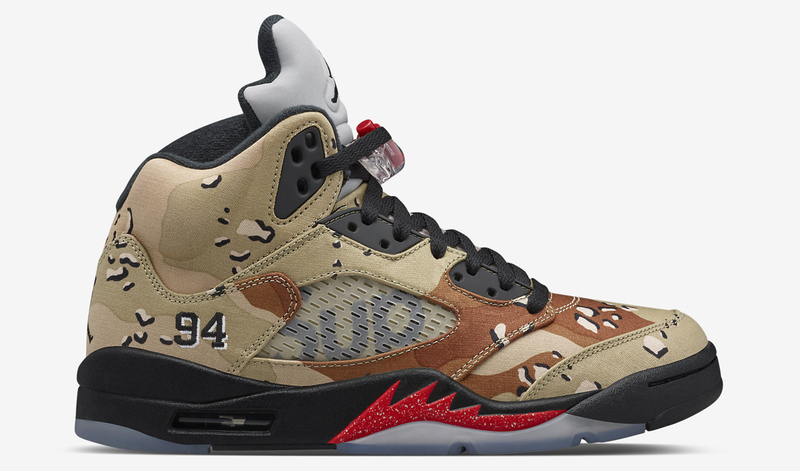 Supreme x Air Jordan 5 "Camo"
UPDATE 10/23: Nike just released the Supreme x Air Jordan 5 online here.